So March break is coming to an end tomorrow it’s back to school. I was trying to figure out this week how we could avoid school without having to home school, but I realized it can’t be done in good conscience and that I should cheer up because it’s not me that has to go to school. 🙂 Sorry boys! It’s not that I’m not all for education, I just like having my kids around and being able to do whatever we want to and not having to get dressed until noon. And I hate packing lunches. I really do. And the boys are constantly changing their minds about what they like and dislike so I never seem to get it right. Sigh, the trials of lunch packing… thankfully I can pick them up for lunch when I really want to avoid it. But March break was wonderful even if Sophia did get sick with the stomach flu and stayed sick. I didn’t know that someone could throw-up once a day for 5 days, but I can assure you that it is possible. Except that she didn’t exactly throw-up every day, sometimes it came out the other end… sorry, but had to be strictly honest. It was this weird thing where you thought she was on the mend and then she obviously wouldn’t be. The most slow and dragged stomach flu I’ve ever experienced, I wouldn’t recommend it. She didn’t share any of her lovely germs with us (yet) but she did pass it on to her little cousin Katie (sorry) and my brother John (extra sorry!) who were so nice to play with us while we were at my mom and dads for a few days. The kids and I love going to my parents and we spend two nights there and had a blast… apart from the fact that Sophia being sick forced mom and I to cancel a mother and daughter shopping trip that I was looking forward too. I pouted. But now we are home and gearing up for getting back to routine. And it’s so great that the snow is disappearing so quickly, although when I got home yesterday it was to a yard that was seriously littered with toboggans and shovels. For some reason these things don’t look so bad scattered all over snow, but on the dingy grass where the snow had receded… let’s just say the mess seriously decreased our property value. So being the good mother I am, I spent the 5 minutes it took to tidy them up, I felt I had too. We had new neighbours moving in across the way and I didn’t want them to get the wrong impression. And I would love to share some pictures of what we’ve been up to, but again, I have camera issues, namely that I’ve left my camera at my mother’s who lives an hour away and won’t get it back for a few more days. I could see in Jason’s eyes when I told him that he’s starting to think I shouldn’t even be allowed near a camera so I need to be extra careful in the future. So I’ve dragged up some pictures from last March just because this was cute. 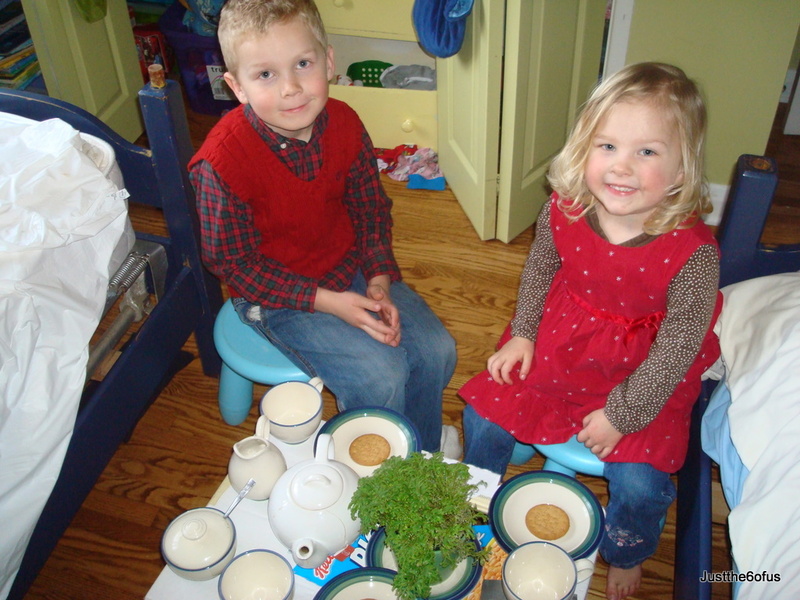 Sarah loves tea parties and one day after school Erik decided to put one on for Sarah – in his room. It was an occasion to get dressed up for, so he and Will put their Sunday best on and convinced Sarah to put a dress on (no mean feat). 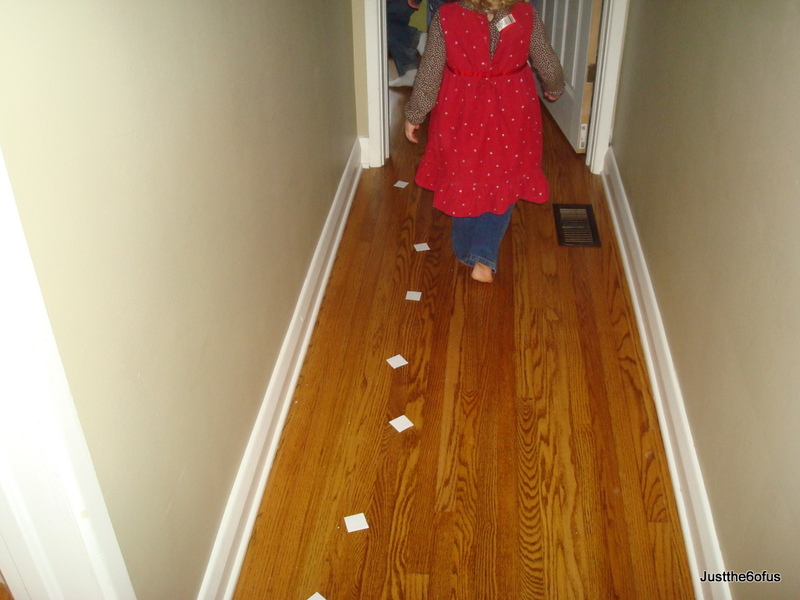 Then Erik left a trail for her to follow to her surprise tea party. It was really cute. 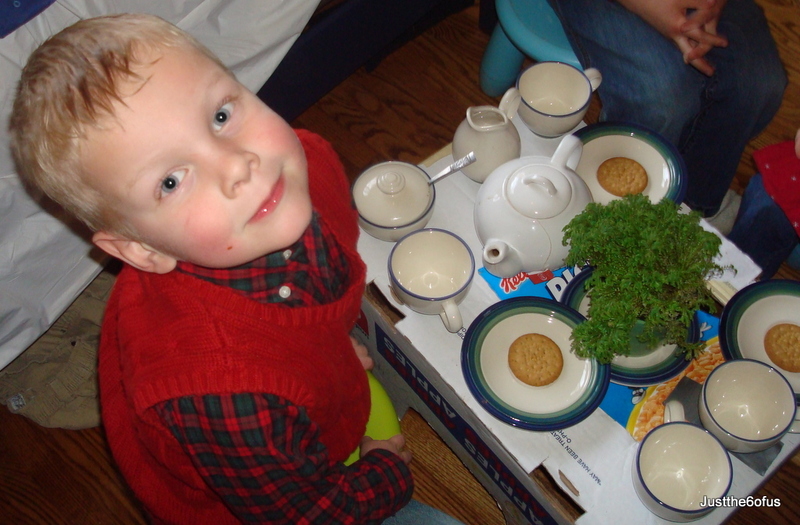 Even if the box wasn’t meant to support a tea-pot and cups and eventually caved it, a wonderful time was had by all. 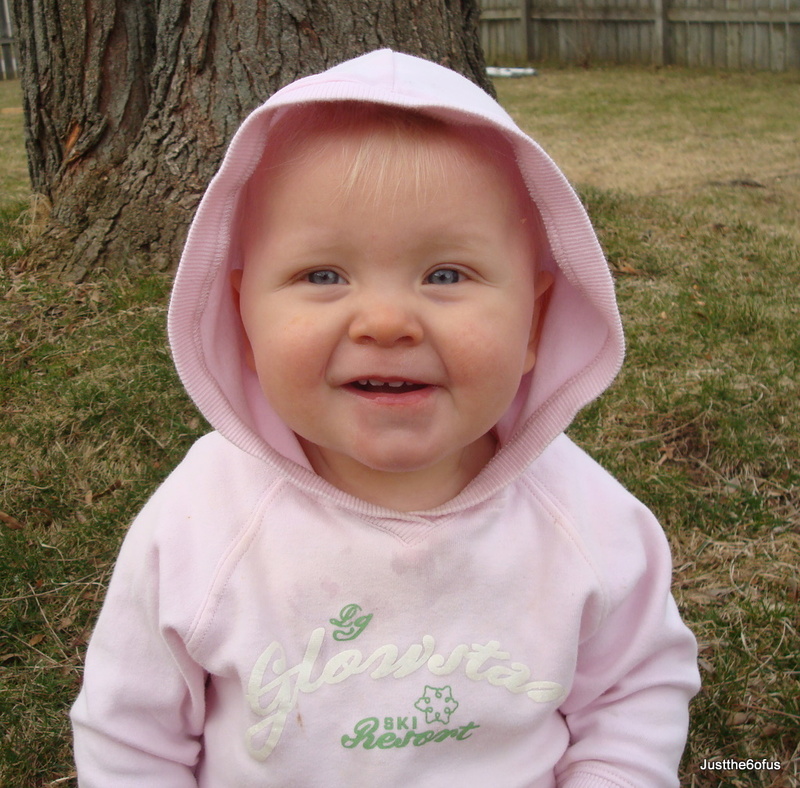 And no blog post is complete without a picture of Sophy – here she was last year, it give me a little bit of spring baby fever.